Looking for a Legendary Uber Clone Software? Start your new venture right away with the most renowned on-demand, Uber clone dispatch software that is incomparable in its performance and scalability, and white-labeled for your brand popularity. Integrated with a responsive interface and multi-location access, the Uber-like app for tow trucks allows towing companies to easily locate and provide timely service. The Uber clone app is perfectly suited to manage shuttle services from different pick-up and drop-off points with a full overview and control over all customer enquiries. The Uber clone app operates specifically in the limousine industry with advanced fleet tracking, real-time connectivity, precise reporting, and perfect payment management. The Uber clone app for courier industry makes it easy for businesses to keep track of on-time delivery of the product with complete delivery control and in-depth analytics. The Uber-like laundry app holds the right technology to provide automated on-demand laundry services, where customers can schedule laundry pick-up/delivery via app. 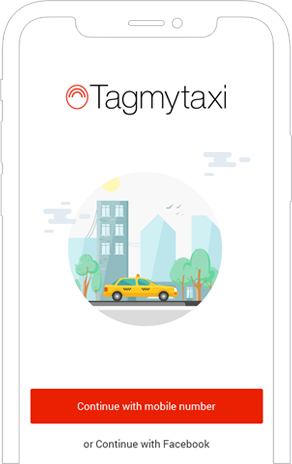 The app like Uber designed for the paratransit users supports fast and reliable booking system with a friendly user interface to ensure the customers receive the best service. With our Uber clone software, you can handle your corporate customers and help them manage their employees’ business travels and related expenses. The Uber-clone app for house cleaning allows users to book a request, track the arrival of the taskers, get notifications on the arrival status, and provide hassle-free transactions. This Uber clone software is a complete package that perfectly suit the needs of movers with the seamless integration of GPS and Google Maps. Reality with Our Uber Clone Software!